Hi everyone! I’m sharing the beautiful Prince Jean remix of KNC’s “Ohno Ohno”. This is a high quality, DJ friendly .wav file. Now, get to know this Philly based duo below. DD Whatsup guys? How’s the day been? KNC Not much..just chillin and trying to figure out what it is we’re supposed to be doing haha. Pretty crazy day between music and workin. Neals (Krueger) is getting a haircut right now. DD How would you describe your current style? Any new evolutions you guys plan on taking with KNC? KNC Our current sound it pretty 808 and hip hop driven, but we tend to draw inspiration from a lot of different places both geographically and sonically. When we first started producing together we didn’t really have a particular sound that we were going for or plan, we were pretty much just hanging out and making the type of music we were feeling at the moment. I think for us KNC is a collaboration that lets us explore lots of different sounds and styles, and can naturally evolve with what we’re into. DD How did you two meet? And if each of you were to name your biggest artistic influence, what or who would it be? KNC We met when we had decided throw a warehouse party here in Philly. We had known of each other but had never really talked or hung out until then. The party was basically an attempt at getting together some of the young producers in the city who are pushing some new sounds. It was us, Bombe, Fazer, and our friends Matpat and Cool Hand Luke. The entire night we were both like wait…I was gonna play that…wait…I was gonna play that, while the other was djing, so afterward we decided to meet up talk music and start making tunes. As far as our biggest music influences, I would have to say Nguzunguzu goes to Copout and French Fries goes to Krueger. DD Lastly, talk a bit about your label affiliation with B.YRSLF Division. KNC B.YRSLF first hit us up when we posted our track Gone. They had begun sending us some emails and we started talking and they asked us to release it on their Vybes Galore Comp last June. It was great working with them on our first release. They have a good ear and are definitely pushing interesting club music. The internet has been a pretty amazing tool for us and I think everyone else trying to get a start in music now. 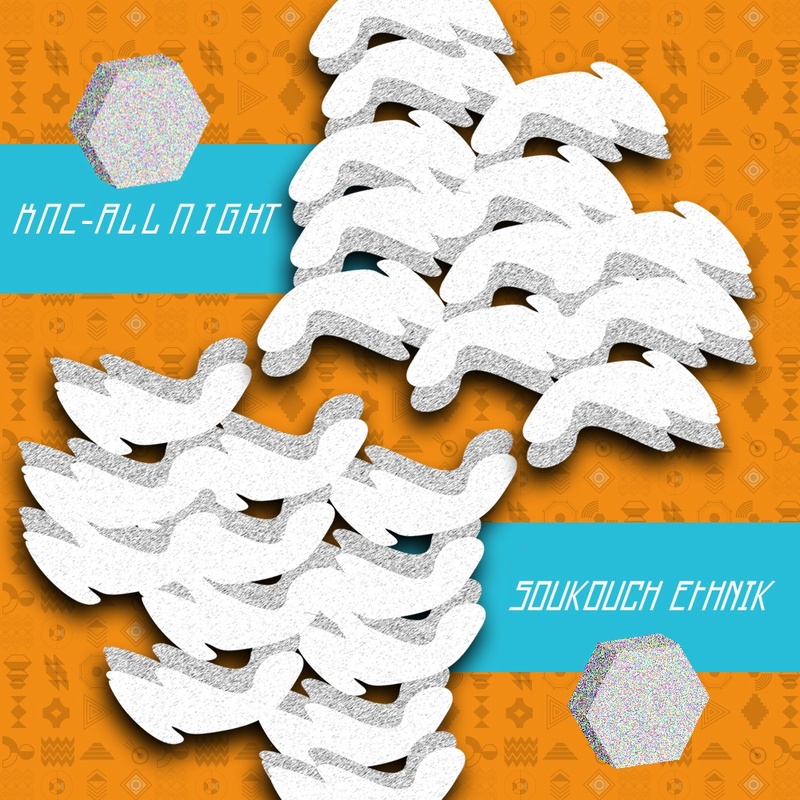 All this has led to our debut EP All Night, which comes out in November on Soukouch Ethnik, another French label. It has three originals and remixes from Lucid Nah Like and Prince Jean. We are really excited for this to drop! It’s been an amazing year and this EP is kinda the perfect cap to it all. Thanks for the interview it’s been great talking!